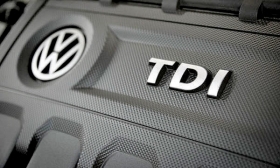 Canadian Volkswagen dealers were stuck with diesel vehicles that didn't meet emissions standards for years. OTTAWA — Canadian new-car dealers stuck with recalled vehicles will get some protection — although not the mandatory compensation they had hoped for — under a tough new safety law now in force. After nearly two years of study and debate, the Strengthening Motor Vehicle Safety for Canadians Act (Bill S-2) received royal assent March 1. It gives the federal government the power to order recalls and fine manufacturers that don’t comply. While the law immediately went into force, Transport Canada still has to develop regulations that will facilitate the use of fines to increase safety compliance and require manufacturers to provide more safety information to consumers. The final version drops a Senate-introduced amendment that would have forced manufacturers to pay dealers a monthly fee for any vehicle they couldn’t sell. But it does require automakers to buy back cars subject to protracted recalls at the original invoice price. Liberal MP and lawyer Sean Fraser said the earlier compensation formula might have “treaded on some questionable grounds constitutionally” by interfering with contracts. He also was concerned that offering different remedies for dealers and consumers could create an incentive for manufacturers to fix cars on lots before cars that are already on the road. Fraser helped retool the legislation to specify that dealers, like consumers, have the right under the federal law to have recalled vehicles repaired. “We worked with the Canadian Auto Dealers Association who were fantastic throughout the process of finding a solution, we heard testimony from consumer advocacy organizations like CAA as well, and reached a solution that I think all stakeholders were satisfied with,” Fraser said. The act gives the Canadian government broad, U.S.-like powers to order recalls and fine manufacturers that don’t comply. It will also allow regulators to set strict timetables for repairs. Until now, Canada had to apply public pressure or turn to the courts to force a reluctant manufacturer to pay for recall repairs. Such cases have been rare, however.